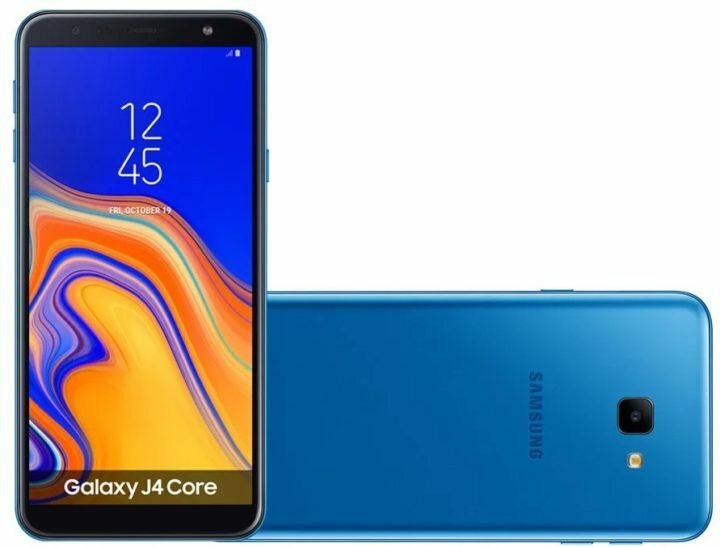 Say hello to Samsung Galaxy J4 Core, Samsung’s latest Android 8.1 Go edition. Samsung Galaxy J2 Core (SM-J260), was Sammy’s first Android Oreo (Go edition) smartphone launched back in August. But as it is, Samsung has already added another Android 8.1 Oreo (Go Edition) smartphone to it portfolio. The new device, called the Samsung Galaxy J4 Core, has better specifications and features than it predecessor. For starters, the Galaxy J4 Core mount a larger 6-inch HD+ display, a whole 1-inch larger than the predecessor. Samsung also replaced the Exynos 7570 quad-core CPU with a more powerful Octa-core Snapdragon 430 CPU, along with Adreno 505 GPU. Additionally, you get 1GB of RAM and 16GB expandable storage. As for the camera department, the Samsung Galaxy J4 Core features an 8-megapixel rear camera sensor with PDAF, f/2.2 aperture, and a single LED flash. Up-front, there’s a 5-megapixel front camera with LED flash. The device also features Samsung’s Smart Manager which delivers automatic RAM management that ensures the device has sufficient free memory and remains fast and optimized. Sadly, the Samsung Galaxy J4 Core doesn’t come with Fingerprint sensor or Face Unlock, but has a respectable 3300mAh battery on board. The Samsung Galaxy J4 Core is available in Black, Gold and Blue colors. Details of pricing to be added soon.